My true name was once a synonym for terror and tyranny. It has since fallen from history into legend and drifted beyond myth. Vampires aren’t immortal, our bodily shell eventually fail. I refused to leave this state of unlife. My hatred for life and lust for blood drove me to accomplish what none had done before, imbue my undead spirit into a blade. Forged from the unholiest of steel, bathed in the blood of countless innocents, I, once Death personified, became Death’s ultimate tool. All who yield me feel my eternal hunger; all who vie to control me feel my wrath. I am Death eternal. 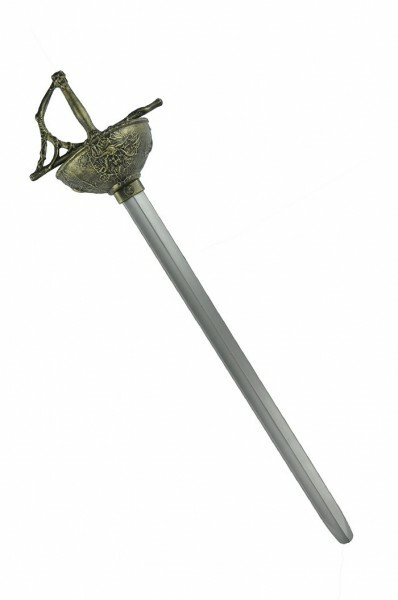 In the wake of the great success of its first rapier design, Calimacil hits another homerun with this exquisitely gory model. 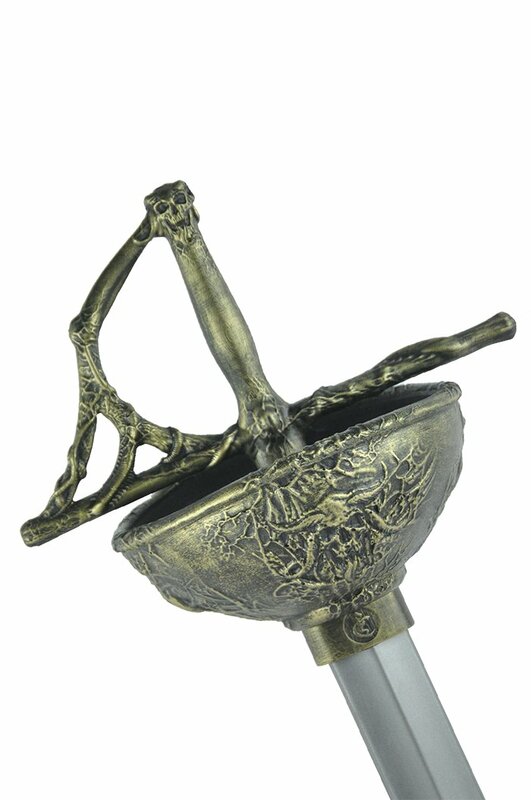 Its pommel features a full handguard with finely sculpted bloodied designs, giving the rapier it’s magnificent gruesome look. Like its predecessor, it contains a special rod to give great flexibility to the blade to keep its handling safe while retaining enough rigidity on the edges and tip to allow thrusting and slashing attacks. There’s nothing good or holy about this weapon. It was created to be yielded by those unconcerned by the well-being of anyone standing in their path. The rapier is absolutely perfect for evil pirates. It also completes any vampire noble character that wants to make a very strong fashion statement. Finally, any cruel dark duelist worth his salt will want to have one of those to show how much they mean business. Related links to "Asmoth II"
Customer evaluation for "Asmoth II"